In the absence of beak treatment adhering to proven and agreed best practice management practices is key. The roles of good stockmanship and promoting the development and maintenance of good feather cover have been highlighted here in Part 1 of this article. Part 2 to be published soon on Zootecnica International’s website will highlight the benefits of environmental enrichment as well as other general best practice management strategies that should be employed in non-beak treated birds. Practical broiler breeder management will optimise production while maximising bird welfare even in the face of changing legislation. Welfare and production are not and have never been exclusive ideals, indeed an animal cannot be expected to achieve its potential if its welfare is impaired, but increasingly both consumers and legislation require that the relationship between welfare and responsible animal production is implicit. In broiler breeder production recent shifts to stopping beak treatment highlights this. 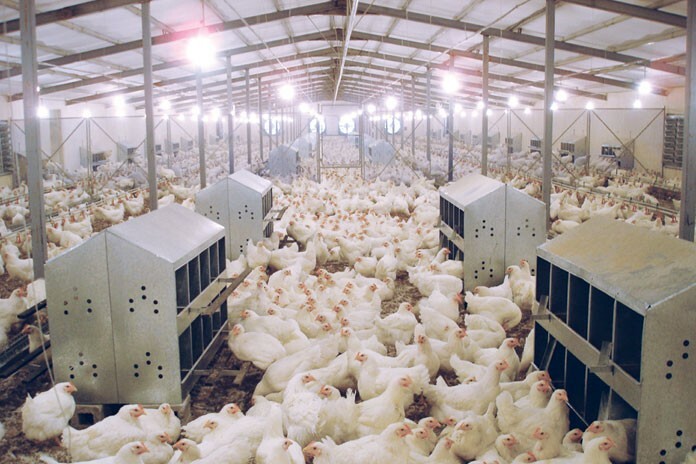 However, shifts such as these do not mean major changes in the management practices for broiler breeders. Rather they highlight the need to adhere to already agreed and proven best practice management strategies. Originally introduced as an aid to preventing damage due to pecking, beak treatment will no longer be allowed in many countries within the next few years. In a number of European countries the absence of beak treatment for females is already commonplace and increasingly the beak treatment of males is being stopped as well. Field data shows there appear to be no major drawbacks, as indicated by comparable egg production levels between beak-treated and non-beak treated flocks (Table 1), to stopping the beak treatment of females. While not beak treating has the potential to improve the welfare of broiler breeders, good management is still required to maintain welfare and performance in non-beak treated birds. Management strategies which ensure appropriate bird development and growth and the provision of an adequate environment and stimuli which promote scratching and natural foraging behaviour are key. However, these can be implemented practically and with ease and, as will be shown in the remainder of the article, are part of the normal best practice management strategies and recommendations for broiler breeders. 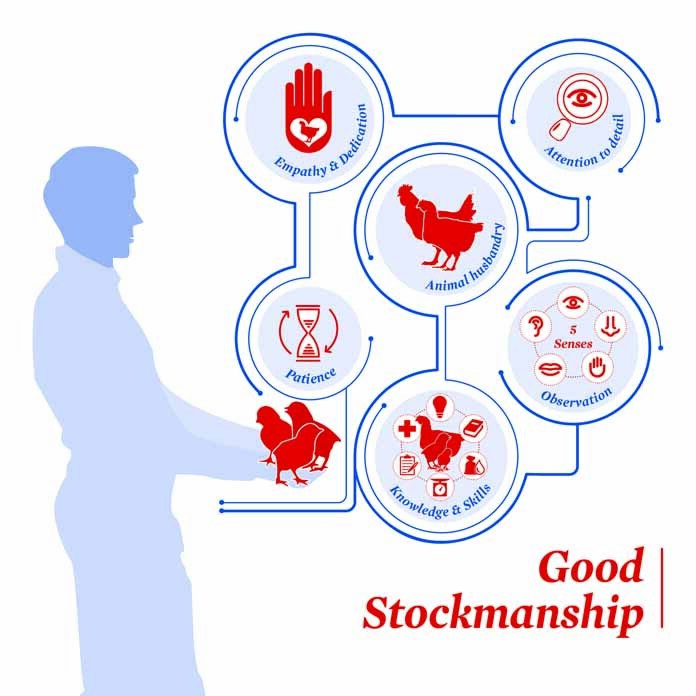 The stockman has an important role to play in maintaining the welfare, health and production of a flock. Many potential problems can be resolved without difficulty if they are spotted early enough. Often the first sign of a potential problem or an inadequacy in flock environment is seen in subtle changes in bird behaviour. Above and beyond ensuring the correct environment (feeders, drinkers, nest boxes, etc.) and nutrition are provided, the stockman can spot early signs of potential problems through close observation of bird behaviour. Attention to detail and spending enough time with the flock to know what is ‘normal’ and therefore, importantly, what is ‘abnormal’ means that any potential issues will be detected at an early stage and can be dealt with before they develop further. Optimal feather development and maintenance of good feather quality and cover throughout production is essential in flocks that have not been beak treated. Some feather wear during lay is to be expected but this should be minimised. Feather quality and cover will be optimised through the provision of the correct environment and nutrition. If stocking densities are higher than advised and recommended feeding and drinking space is not adhered to, the potential for increased feather damage when birds try and access feeders and drinkers is high. All birds should be able to access both feeders and drinkers uniformly at the same time with minimal competition for space. Diets should be balanced in amino acid content and be fed in the correct amount to ensure that the birds are getting the nutrients they require. Of particular nutritional importance with regards to feathering are the amino acids methionine and cystine. Diets which are lacking in these essential amino acids will result in poorer feather quality. Further to this, field and trial data has shown that increasing the ratio, in comparison to lysine, of these amino acids improves feather quality. To support feathering it is therefore recommended to increase the ‘safety margins’ of some key amino acids in the diet (Table 2). During the laying period increases in digestible methionine and cystine above 5-10% are not recommended, as there will be a risk of large egg size.